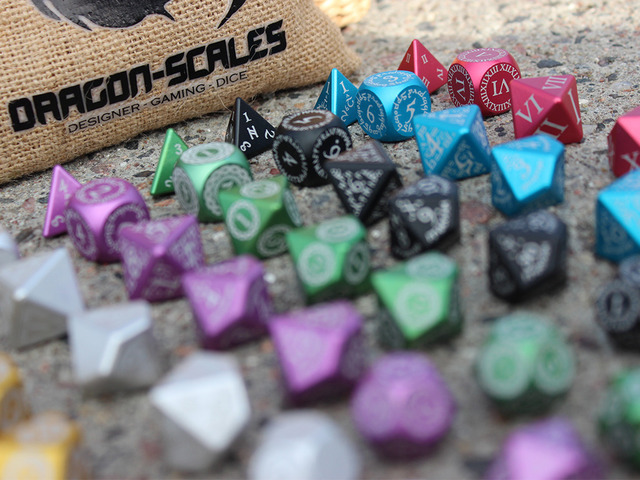 Ulfsark Games is running a Kickstarter for their Polyhedron Dragon Scales Metal Dice. They're most of the way to their goal with still 17 days to go, so check 'em out. Themed dice for miniature and role-playing games. Precision cut by CNC machines to give you the best metal dice possible.